From idea to execution, pop-up tours usually take 3 – 6 months to come to life (and that’s if you have the help of experienced partners and vendors). The size and scope of the tour is a key component to timeline. Other factors that impact timing include vehicle fabrication, experience development and production, stop selection, product sourcing, staffing, and promotion. Pop-up structures come in all shapes and sizes. Vehicles can be loaned, leased or created from scratch based on available budget and intended length of use. The most popular styles include shipping containers, buses/vans, retro-fitted trailers or RVs, and custom structures. Existing vehicles can save a lot of money upfront, but often come with large renovation budgets and ongoing maintenance costs. Custom fabrication builds allows the brand 100% control over the structure’s look, feel, finishes, and environment. 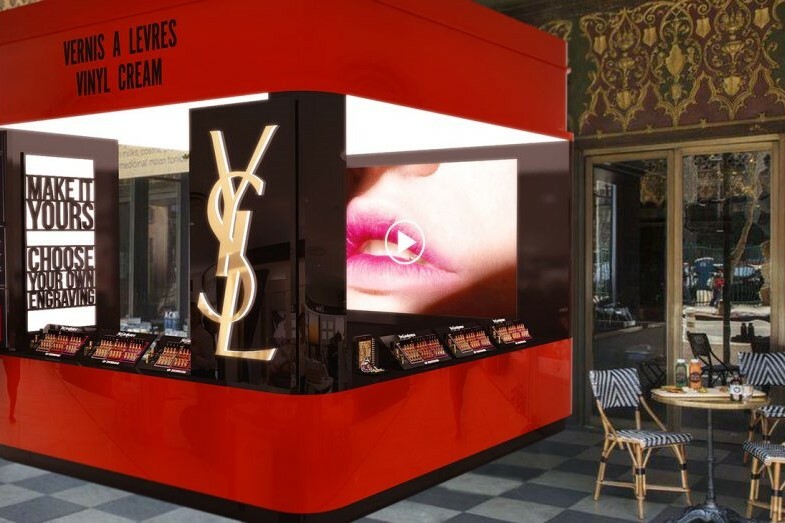 If going in this direction, think about the cost of the pop-up vehicle as an investment that can be amortized over the length of the pop-up tour and beyond. 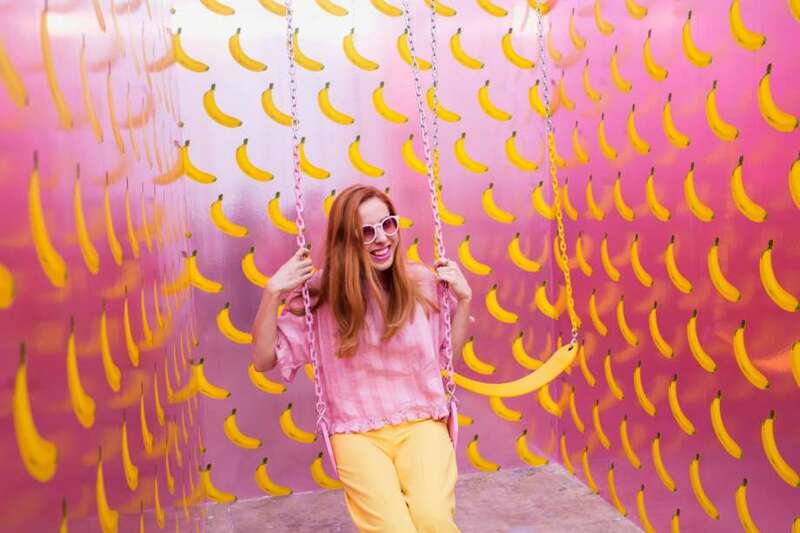 Like any experiential event, pop-up tours are a public representation of your brand. 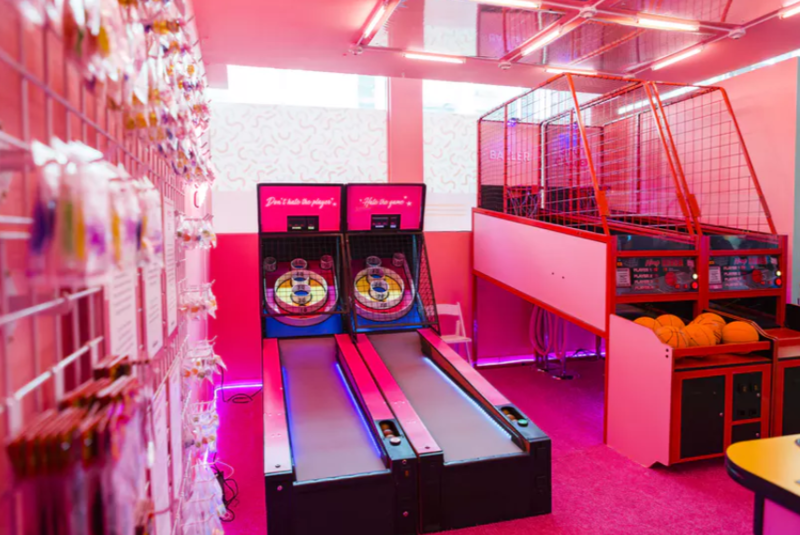 YMC’s most successful partners treat the pop-up as a “new store opening,” incorporating various department team members including store operations, visual, merchandising, product supply, marketing, and social. This cross-functional task force works together to align on strategy, development, and execution. Cities, colleges, or, beach towns? 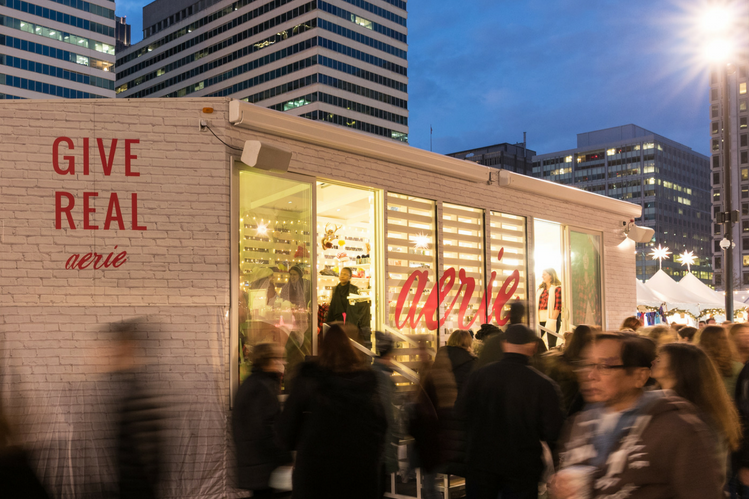 When narrowing in on locations to pop up, think strategically about where your brand has a brick-and-mortar retail presence, the demographics of your target consumer, the time of year, and potentially weather impacts on your event experience. Each type of location has a different process for contracting space, regulations around activation footprint size, and fees ranging from $500 to $10,000+ per day. Agency partners, like YMC, can help to navigate these waters based on years of experience and existing relationships with venues and colleges. It’s also important to understand that the type of vehicle you build will impact the speed, mobility, and possible locations for the tour. Self-propelled or easily towed vehicles are the most flexible, while shipping containers are both costly and complicated to move around the country. 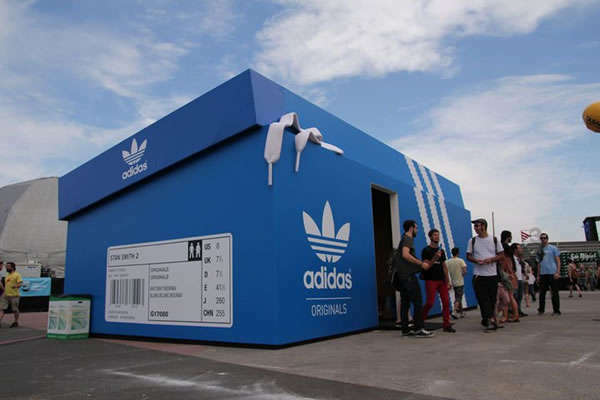 The consumer experience is integral to the pop-up tour’s success. Beyond the environment inside the mobile vehicle, the outdoor event footprint needs to be designed and optimized for traffic flow, engagement, and most importantly, fun! Photo opp areas, music, food, lounge space, and DIY activities are key. Encourage user generated content by communicating a clear campaign message and utilizing on-site branding and signage with social calls-to-action and a hashtag. 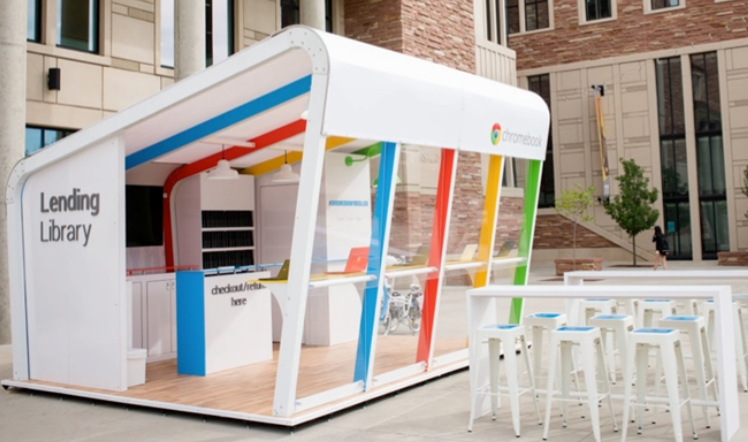 It’s one thing to build the ultimate pop-up experience, but it’s another to promote and put a spotlight on your brand’s efforts! Build a comprehensive pre- and post-event media, promotion, and PR plan. Use this opportunity to show off what your brand team is up to by leveraging real-time social channels like Instagram Stories and Snapchat. Professional photographers and videographers are also key to capturing high quality content which can then be repurposed for future social, website, blog, or advertising needs. Campus reps and street teams are incredibly effective at driving pre-event buzz and leveraging personal and local community networks. This on-site team also helps to drive walk by traffic to your pop-up experience on the day of the activation and engage consumers in a peer-to-peer manner. Looking to hit the road with a pop up shop but aren’t sure how to get started? Finding the right partner is key to your success. Here at YMC, we’ve been helping brands connect with 15- to 29-year-old consumers for two decades—we’d be happy to share our wealth of knowledge with you. Contact us today!